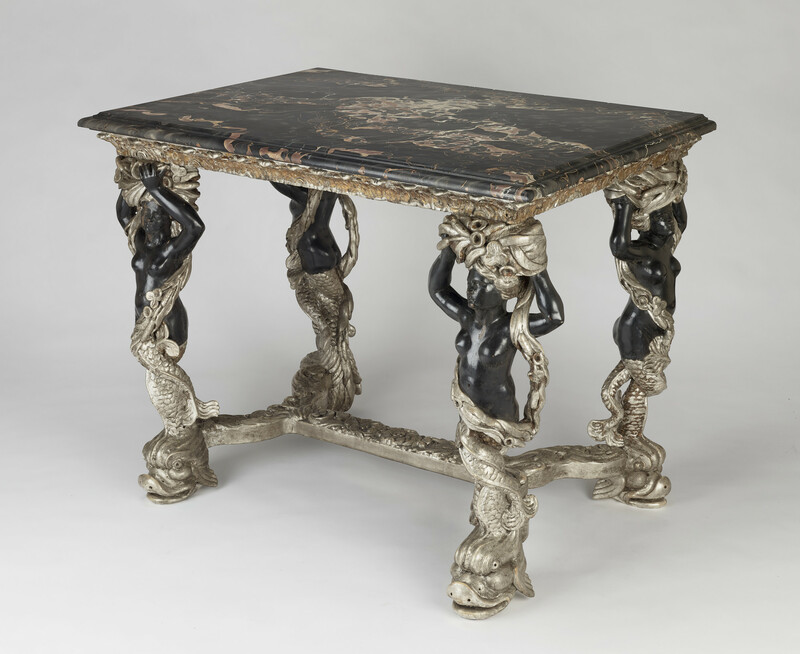 Rectangular marble topped table of pine in part silvered and blackened. Legs in form of mermaid figures with bunches of seaweed on their heads extending in garlands round their bodies. Feet carved as dolphin heads and linked by serpentine H-stretcher.